In the Industrial Revolution people foresaw doom and gloom for employment as it was. Machines were going to take over their manual labouring positions and replace their livelihoods with destitution and unemployment. And to a large degree the industrial revolution had a negative impact initially on the lives of workers, as factory cities became crowded, unclean and allowed disease and sickness to flourish untampered. Over time, the industrial revolution has paved the way for the age of automation. People who made the machines needed to enter information into the machines which within itself can now be automated. Once a role is automated, it will never be the same. The duties within that position never return. Competitors will adapt the automation in order to maintain competitive footing and keep their labour costs down. If you are an employer and your reading this, you’re in for a treat. And if you are an employee reading this, you are also in for a treat. Automation is actually best for everyone; fear not, the robots are not going to take your jobs. Rather than shuffle papers around one at a time and waste valuable skill sets on autonomous and tedious tasks, by having elements of automation incorporated into your role, your job will only get better and you will have a great deal more time to spend on revenue generating tasks. The scope of your role as an employee is expanded to things like data and trend analysis, data matching and being able to work faster with the tedious component of the work already completed. Google predicts that Artificial Intelligence (AI) is going to reach human levels by 2029. IT firm Gartner estimates that one-third of jobs as we know them now will be replaced by robots and machine-learning devices by 2025. Rather than these existing jobs disappear, new jobs will arise in their place. These jobs are likely to be less labour intensive, safer and require a higher level of skills than previously. Here’s the low down on the industries most likely to be affected by automation. The power of automation in the healthcare industry is limitless. In a profession requiring perfect accuracy in procedures and the assessment of symptoms, machines and AI can do a much better job at a much-lower cost. Healthcare professionals will never be totally replaced, but they will be able to spend time on patients problems that require a more human interpretation that are a little less labour intensive. It doesn’t just stop there, however. Mobile health care apps are on a meteoric rise, and for good reason. With people from all backgrounds, locations and health literacy levels able to now submit and assess their own health issues to remote doctors and through AI driven phone apps, diagnosis can come much quicker, more accurate and non-discriminatively. Manufacturing has already experience a significant change over the last 200 years. 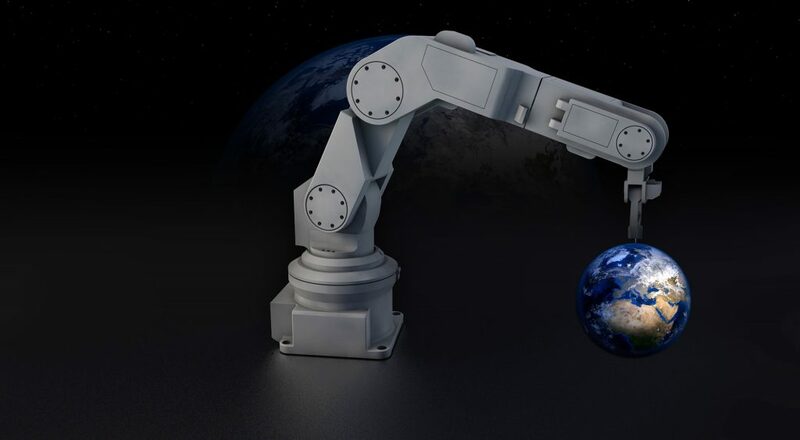 First with the industrial revolution and the ability to mass-produce using human-driven and operated equipment, and more recently with humans moving away from the manufacturing entirely and employing completely robot operated production lines. Within the automotive industry the change has been massive. The introduction of “arms” with six degrees of movement revolutionised the way that cars were put together. Nowadays, automotive robots can work somewhat autonomously and can interact with a changing environment working alongside humans. Ever used a train? This year Rio Tinto sent their first driverless heavy haulage train 100km across the Pilbara, the first of its kind. Driverless cars are now statistically safer than those driven by humans. Uber is not a transport company; it’s a tech company. They have an excellent automated app that requires only a small amount of interaction. Imagine a world where you request your uber, and a driverless car arrives at your door. Have you been into McDonalds lately and built your own burger? Aside from the customer service operator handing you the meal, there is very limited human interaction in an environment which previously would have required a pen, a paper and a good set of ears. You can now order coffee online and pick it up, or use the Dominoes app to have an order arrive with no customer interactions. Chatbots are now employed by most major online companies and respond to your enquiries so well, you may not know you are interacting with a bot at all. 100,000 jobs within the legal sector are set to be automated. That is not to say that they will be disappear, but the way that lawyers interact with clients, offer value for money and compete with chat bots that can deliver fast, free and accurate information faster than real lawyers means that a level of adaptability by the industry will need to be employed. Legal secretaries roles are set for massive change, so stay tuned. Massive amounts of financial data mean that companies are looking to AI in order to automate reports, data match and discover trends. Though humans can do this with a good deal of accuracy, employing humans to interpret the data in a real world way is a much better use of labour time. Chat bots are now able to dispense a good amount of financial advice with excellent accuracy, and to provide information to customers on budgeting measures. Though fear of automation is fairly widespread, with many experts weighing in on what it means for industries, for workers, for wages and cost of living, one thing has been apparent over time, through both the industrial revolution and the new age of automation; life for humans has got better. And it will only continue to do so.